We provide a warm, caring environment with structured morning and afternoon sessions. 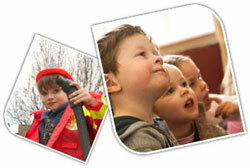 Cornerstone Christian Early Learning Centre (CCELC) is owned by the Christian Schools’ Trust. The Centre is led by a Board of Management, which consists of representatives from Middleton Grange School, the Head Teacher and parent representatives. We maintain staff to child ratios of 1/10 as set by the Ministry of Education and are licensed for 30 children at Aidanfield and 50 children at Middleton. For 2½ – 5 year olds (or when they start school). Limited numbers to ensure quality teaching and a sense of family. Teachers faithful to each centre’s Christian character. Preparation for school a priority. Hours: 8.30am – 3.30pm; children can attend for morning or afternoon sessions or for the whole day. Please see each preschool for their morning and afternoon session hours. 2 year olds – $6 per hour, plus any hours attended in excess of 30 hours per week will be charged at $12 per hour.